When you shut down or sign out, Windows 10 remembers which applications you had open. It automatically launches them the next time you start your PC. You can disable this if you’d like to sign into a clean desktop. To change this setting, head to Settings > Accounts > Sign-in Options. This feature was added with the Fall Creators Update. At one point, you could only avoid this behavior by shutting down your PC with a shutdown.exe command. The April 2018 Update added the graphical switch to disable this behavior. 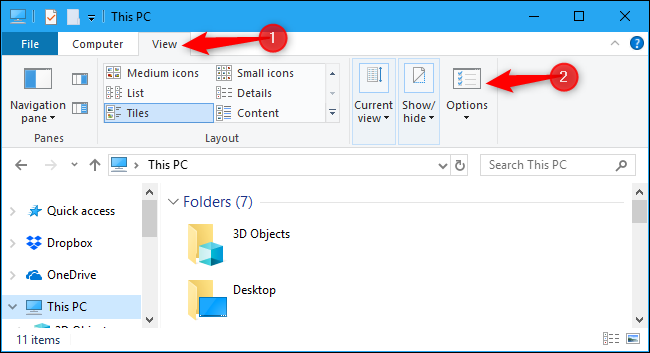 If Windows automatically opens folders like your Documents or Downloads folder in File Explorer when you sign in, that’s controlled by a different setting. To find it, launch File Explorer, click the “View” tab on the Ribbon and click the “Options” button. 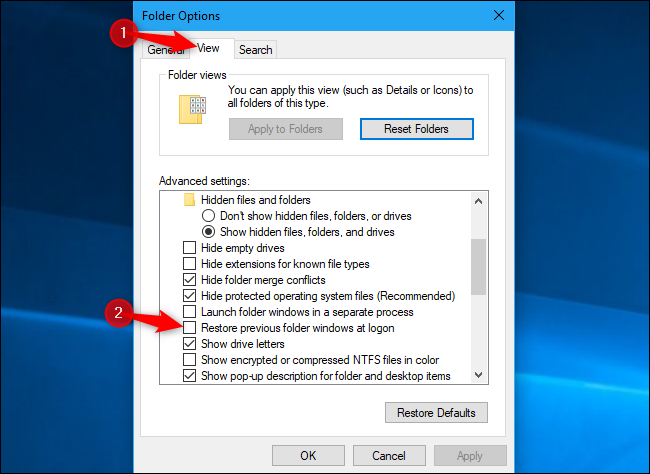 On the View tab, scroll down and locate the “Restore previous folder windows at logon” option. Ensure it’s unchecked or Windows will reopen any folder windows when you sign into your PC. This option is also present in Windows 7 and Windows 8. If an application keeps launching at startup even when you disable these options, it’s likely a startup program that’s set automatically to launch every time you sign in. 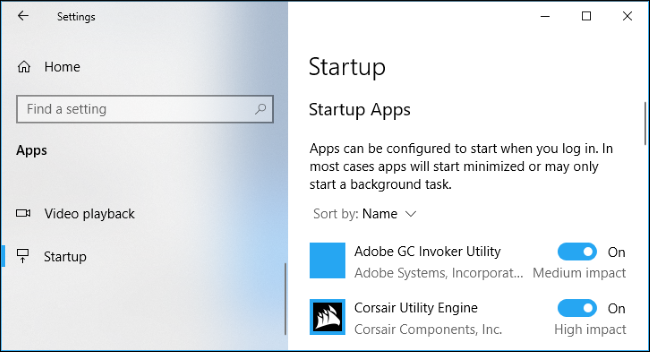 You can disable startup programs right from Windows 10’s Settings app. Head to Settings > Apps > Startup to manage your startup applications. 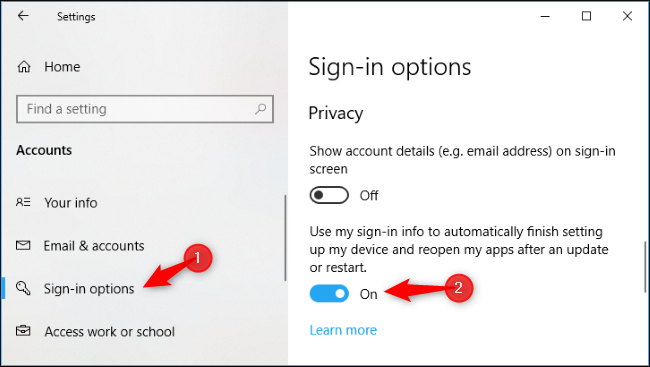 Set an application to “Off” here and it won’t start when you sign into your PC. Disabling some applications here will have consequences. For example, if you disable Dropbox, it won’t automatically synchronize your files until you launch it. If you disable a hardware utility that normally runs in your notification area or system tray, it can’t do its normal work in the background until you launch it.